BTW. Polish (214) is the standard Polish keyboard layout as in native keyboards or typewriters, ones that actually do have separate keys with ś or ć on them. This is used only by the professional typists. I don't know anybody who could use that keyboard - I think ś and ć would be somewhere in vicinity of keys with . and , Don't even think about trying it, unless you want to get frustrated! I have no idea what the United States-International is. Probably some standard deemed very important by some standardization body. Ignore it. How to use the Programmers keyboard is explained in due course below. Anyway, Click OK, to add the Programmers keyboard. This is what you should see - Polish on top. If it's not there, click on Polish and then on Move Up button to move it up. It is actually a personal preference to have the Polish keyboard on all the time, but I find it easier to use when it is setup as the default. When you want to write English as usual, you simply don't use the right-Alt convention for Polish diacriticals. Click OK to close, you are done. 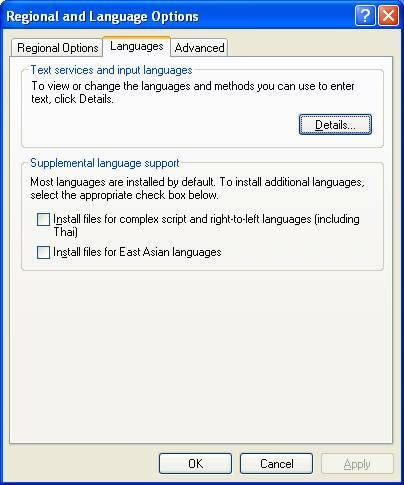 On Windows XP you start by going to Regional & Language Options. Be sure to pick up the Polish (Programmers) driver, as the other driver is for old style professional typists only ant the right-Alt method of typing works only with the Programmers keyboard. These pictures are from Windows 7, on Vista this is very similar, on XP the styling is quite different but switching works exactly the same - see example of the XP graphics at the end of this section. EN indicates English. 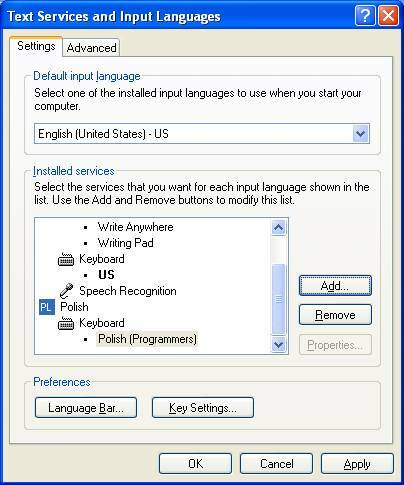 Even if you have Polish keyboard as the default, it can get switched by a system or a program. To change to Polish, just click on EN to open the small dialog showing available keyboards .. When in doubt which keyboard is on, always look there to check. This is as simple as that. 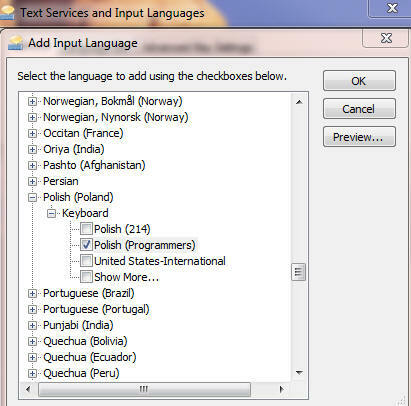 The point is that the keyboard must be switched to PL when you type Polish characters. It can happen that when you start a program such a Microsoft Word or Publisher the keyboard might revert to EN. To be sure you have what you want, do this. Open Word (or other program you use, such as another editor or browser) and click in the area you normally type in. You need to see the cursor blinking inside the area, such as on a Word document page somewhere. While it blinks, look at the keyboard indicator. If it shows PL, you are good to go. If it shows EN, you need to click on it and switch to PL. Then click back to the document and it should stay PL. 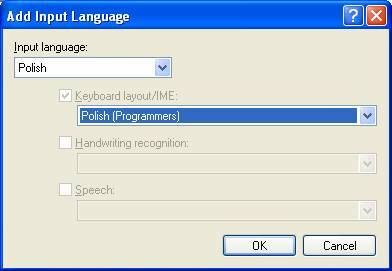 Please note that this method of typing Polish characters works only with the Programmer keyboard. 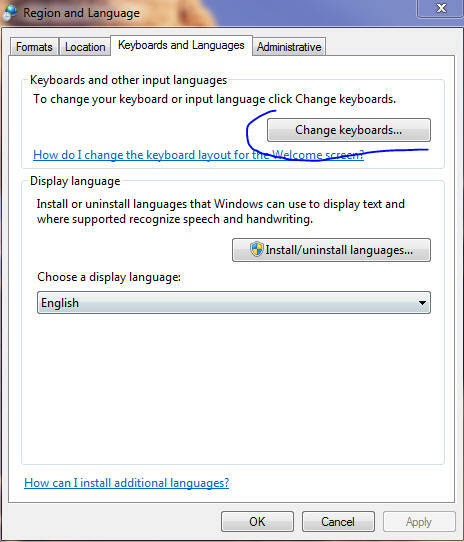 If it does not seem to work, double checked if you picked up the Programmer keyboard when setting up a Polish keyboard. There are two Alt keys on the standard keyboard: one key left to the space bar and the other key on right of it. 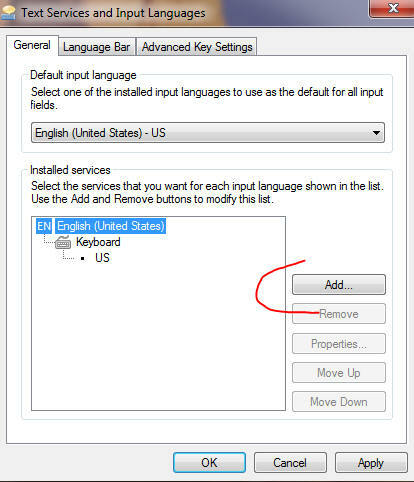 The Right-Alt key, that is the Alt key on the right side of the space bar, is the key that is reserved for native character support for different keyboards in all Microsoft Windows systems. 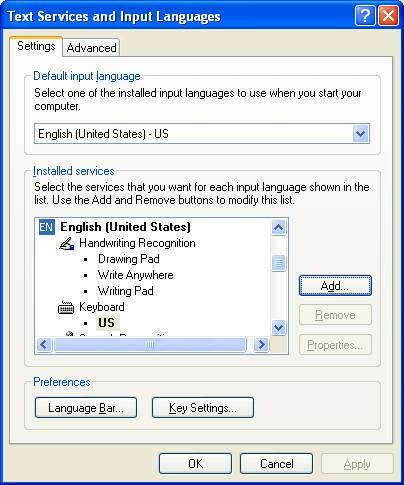 All the programs that claim to be compatible with Microsoft Windows cannot use that key for other purposes. Please note that the left Alt key has nothing to do with typing special characters and programs are free to use it as they see fit. 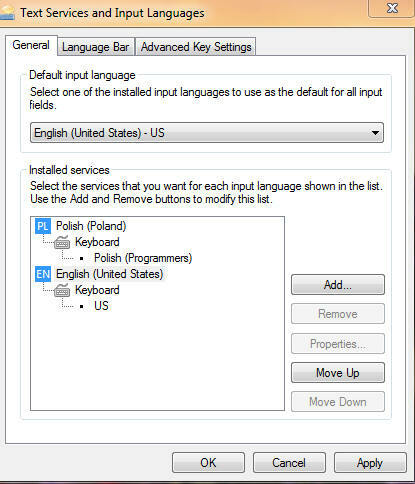 Using Right-Alt to type a Polish character is simple. Press the right Alt and keep it down and then press a Polish character that is the "base", then release both. For example to type ć, press Right-Alt & c, to type ś, press Right-Alt & s etc. For Ń, press Right-Alt & Shift & n. By convention, using z in this way produces ż, press Right-Alt & x to type ź. (x is the only exception to the "base" rule).